Double fun, no-time preparation, strawberries covered with white chocolate and you will enjoy to make these snacks for kids. 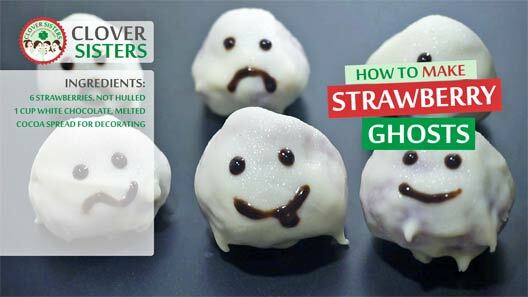 Creative way to engage kids in preparation and also very tasty snack, ghosts with that strawberry flavor. Dip strawberries into white chocolate and place them on the baking paper to set. 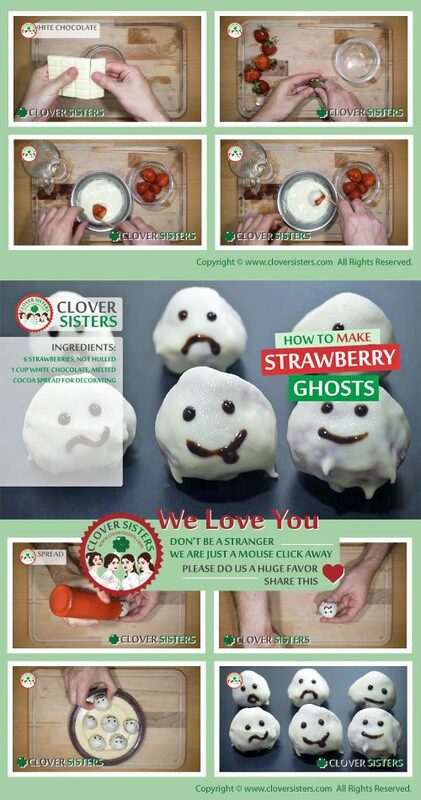 With cocoa spread make a ghost faces.